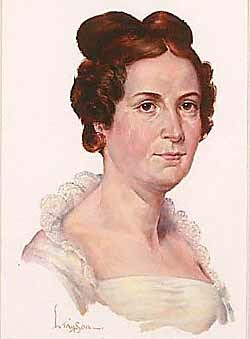 She is one of the most obscure of First Ladies, her tenure as a presidential spouse among the briefest, lasting from the time her husband became the first Vice President to assume the presidency upon the death of his predecessor in April of 1841 until her own death just seventeen months later, in September of 1842. The fact that she was unable to, in any way, perform the public aspects of the First Lady role and, in fact, was only seen in public on two known occasions, stemmed from the reality that she had suffered a stroke that left her physically disabled with paralysis, though her cognitive functions of speaking, seeing and hearing were unharmed. Letitia Tyler, however, holds an unusual record among First Ladies, one involving the most important role of all to her, that of mother. 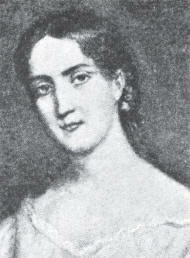 She gave birth to eight children, the greatest number of any presidential spouse, a record she shares with Lucy Hayes. Only five of the Hayes children lived to adulthood but Mrs. Tyler, enjoyed seeing seven of her eight children live to adulthood, making her mother to more children while she was First Lady than any other. The only one of her eight children who died as a child was the fifth one she gave birth to, Anne Contesse Tyler, born in April of 1825 and living only three months, into July of that year. During the time she was First Lady, all seven of her children lived with her and the President in the White House, some for the entire duration of the presidency, others for periods of time. 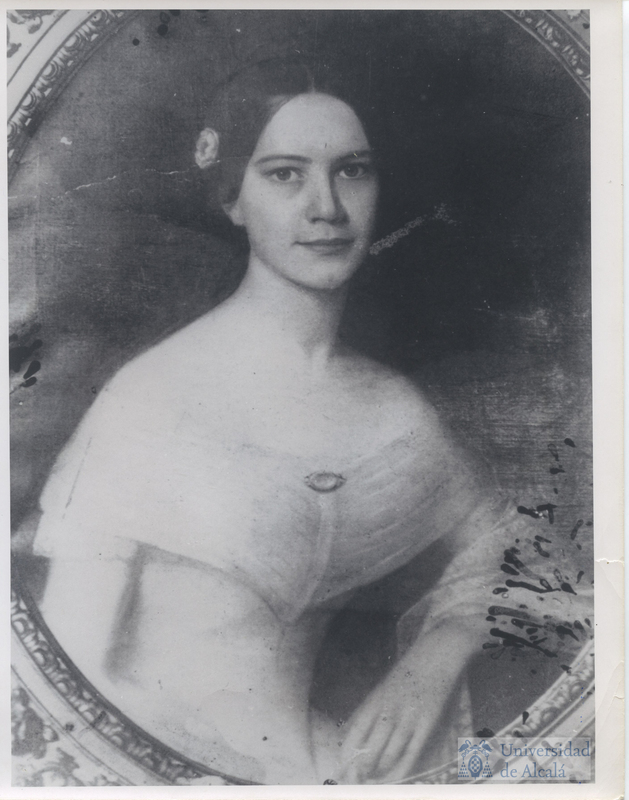 Letitita’s first child Mary, born in 1815, was already married and living in Williamsburg, Virginia with her husband Henry Lightfoot Jones. 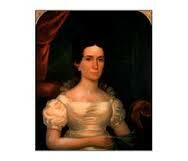 Less than two weeks after her father became president, Mary Jones turned 26 years old. Records show that Mary Jones and her two sons John and Henry lived in the White House. Her third son was born a year after her mother died. 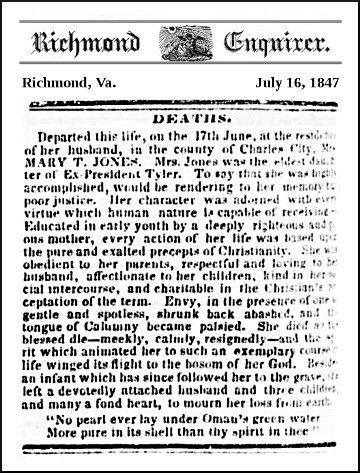 Mary Jones was 32 years old when she died suddenly in 1847, surviving her mother by only five years. Letitia’s second child, Robert, born in 1816, lived for a long period in the White House, serving as the President’s private secretary and drawing a federal salary for a position that was federally appropriated. 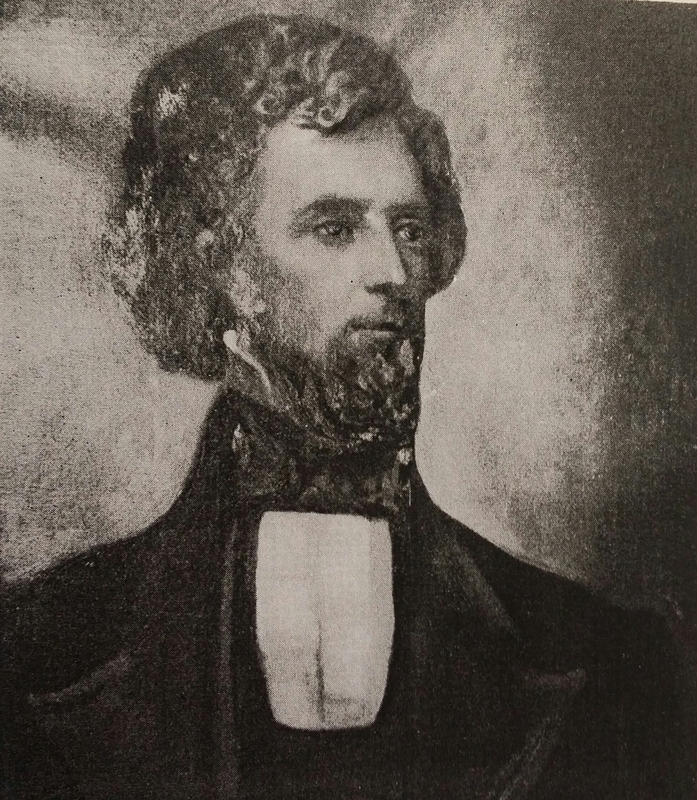 Robert Tyler played an important role for his father, becoming a political liaison for him to many national Democratic Party leaders in Congress as well as state representatives of the party from the northeastern states. 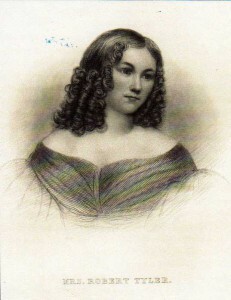 His presence, however, served an especially important part in the life of the First Lady for it was his wife Priscilla Tyler who served as the public hostess from April of 1841 until April of 1844. 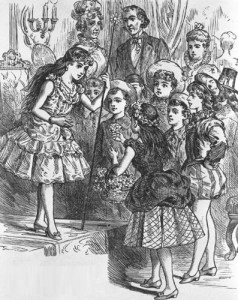 A former stage actress who had performed with her father, a famous tragedian Thomas Cooper, she had been born and raised in Pennsylvania but adapted quickly to the household customs of the Virginia plantation, acculturated by her mother-in-law. They came to the White House with their one year old daughter Mary and when Priscilla gave birth to a second daughter in the the White House, the child was named for her grandmother, the First Lady. Although two adult daughters moved into the White House with their mother, Letitia Tyler designated daughter-in-law Priscilla Tyler to act as the public presidential hostess, while she herself directed the purchasing and preparation of food as well as entertaining in conjunction with the President’s approval. Robert and Priscilla Tyler decided to strike out on their own so he could begin developing his own political career. They relocated to Philadelphia in April of 1844. 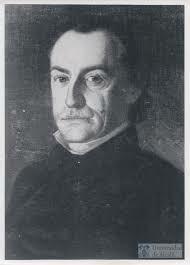 Once the Civil War began, they placed their loyalties with the Confederacy, as did his father, and moved in Alabama. Although their first daughter Mary died at only four years old, just two months after her grandfather’s presidency ended, Robert and Priscilla went on to have six more children. 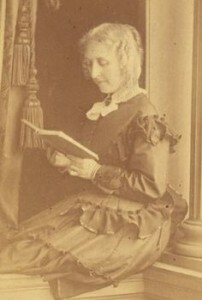 Robert Tyler died in 1877, Priscilla in 1889. 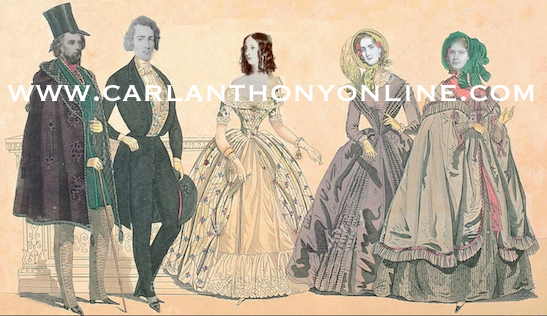 Her third child, son John Tyler, Jr. (he was technically the fifth John in the male family line), had a less stable marriage. At the time his father was president, John, Jr. was estranged from his first and only wife Martha Rochelle. There is no documentation indicating that Rochelle Tyler ever lived with her in-laws in Washington. John, Jr. made the White House his home base but was often traveling the country for long stretches of time and seems to have been his father’s personal representative on his Virginia property and business matters, frequently in Richmond. 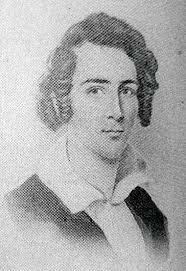 John Tyler, Jr. never formally divorced Martha Rochelle Tyler. They had three children, one of whom was named for the First Lady. This presidential son lived into his 75th year, dying in 1896. 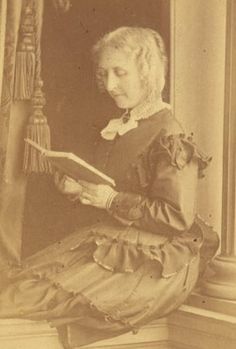 Born in 1821, Letty Tyler was married to seaman James Allen Semple. Blessedly, the president’s son-in-law was away at sea for most of the presidency and thus spared the household the apparently frequent and bitter arguments between the mismatched couple. Letty Tyler Semple had moved into the White House with her father when he first took possession of it, but evacuated in anger before his presidency ended when, as a widower, he eloped in June of 1844 with his second wife, the New York socialite Julia Gardiner. Just one year older than her new stepmother, Letty Tyler Semple never reconciled herself to her father replacing her beloved mother. She vacated the Executive Mansion before August of 1844, when the new First Lady took, as she put it “quiet possession” of it. Two years the junior of Letty Tyler was her sister Lizzie Tyler. On several known occasions, both Letty and Lizzie served as social aides to Priscilla Tyler in welcoming guests at public social events in the White House. After the wedding, she moved with her husband William Nevilson Waller to a home in Williamsburg, Virginia but was living in the White House when her first child, William, was born in 1843. Six years after her mother died, Lizzie Tyler Waller had a second child, a daughter, who she named in her honor of the First Lady. Lizzie only lived seven years longer than her mother, dying suddenly in 1850. Thus, the First Lady Letitia Tyler had three granddaughters all named for her. Interestingly, while Letitia Tyler’s grandson William Waller was born in the White House, he was married in the Confederate White House, in Richmond, Virginia and he married Jeanne Howell, the sister of the Confederate First Lady. There was then a four year gap between Letitia Tyler’s children. After her baby Anne had died, Mrs. Tyler gave birth to another daughter, Alice, in 1827. The last child, her third son, was named Tazewell Tyler and was born in 1830. Little is known about the White House life of these two youngest of Letitia Tyler’s children, both of whom lived there from the first to the last day of their father’s occupancy of it. Alice Tyler was fourteen years old and Tazewell Tyler was only eleven years old when their father became president and thus fifteen years old and twelve years old, respectively, when their mother died. Alice would go on to marry Henry Mandeville Denison, but two years after giving birth to her only child, a daughter, she died young, at age 27 years old, in 1854. Tazewell also married, to the former Nannie Bridges, living some thirty years after leaving the White House, divorced and dying of alcoholism in California, in 1874. He had two children named Martha and James. For the four Tyler children who lived to see the Civil War, life changed radically. Their father the former President died, family property was seized by Union troops, the siblings dispersed and new, sometimes uncertain relationships with their seven much younger half-siblings, the children of John and Jullia Tyler. 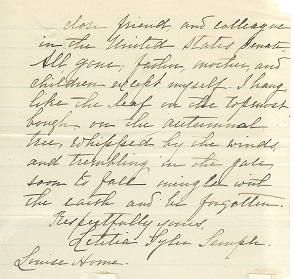 Nevertheless, as family letters now largely preserved at the Swem Library at the College of William and Mary show, Letitia Tyler’s children kept in close touch through correspondence, looking after each other’s emotional if not always financial well-being until the number dwindled down to just the one who lived into the 20th century. In one of Letty Semple’s last letters, the sole surviving of Letitia Tyler’s children bemoaned being alone without them. (private collection). Broken by her failed marriage, her bitter relationship with her stepmother who had rightfully carried the President’s legacy past his death, her financial and professional struggles, Letty Tyler Semple found herself returning to Washington, D.C. at the end of her life. She lived there in what was called The Louise Home, an “old folks home” for indignant southern women funded by the millionaire W.W. Corcoran. As a former First Lady herself, albeit for a brief time, she was an honored guest on many occasions at the White House, invited by several of her successors, most especially Ida McKinley who often sent the presidential carriage for Mrs. Semple to use. She refused, however, to visit the Roosevelts because of the renovation of the executive mansion, which she described as a “atrocious butchery” of the old house she had loved living in with her family. In Mrs. Semple’s small room at the Louisa Home, reporter Daisy Ayres noted an oil portrait hanging above the mantle. It was of a First Lady long gone and long forgotten, but for the elderly woman the figure in the painting that she looked at daily remained beloved and important in the most personal way possible, as her mother. Letitia Tyler Semple died three days before the new year of 1908.